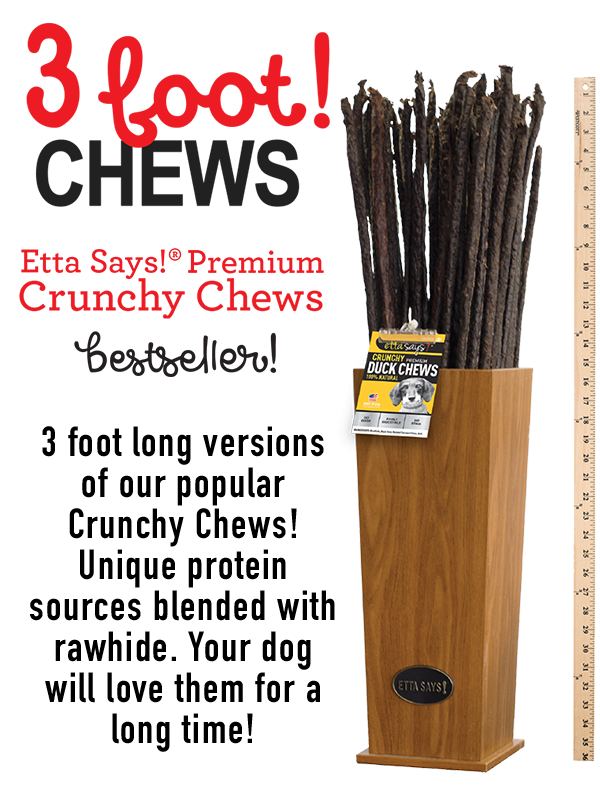 3 foot long versions of our popular Crunchy Chews! 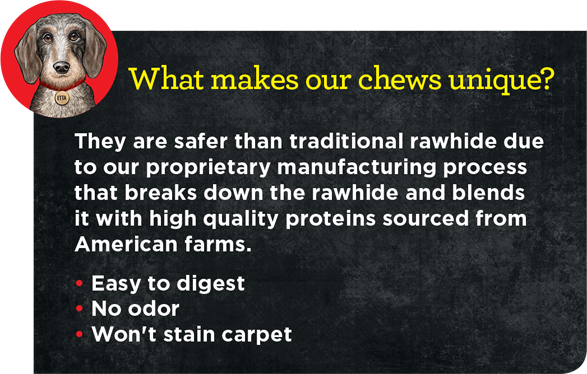 Unique protein-sources blended with rawhide. 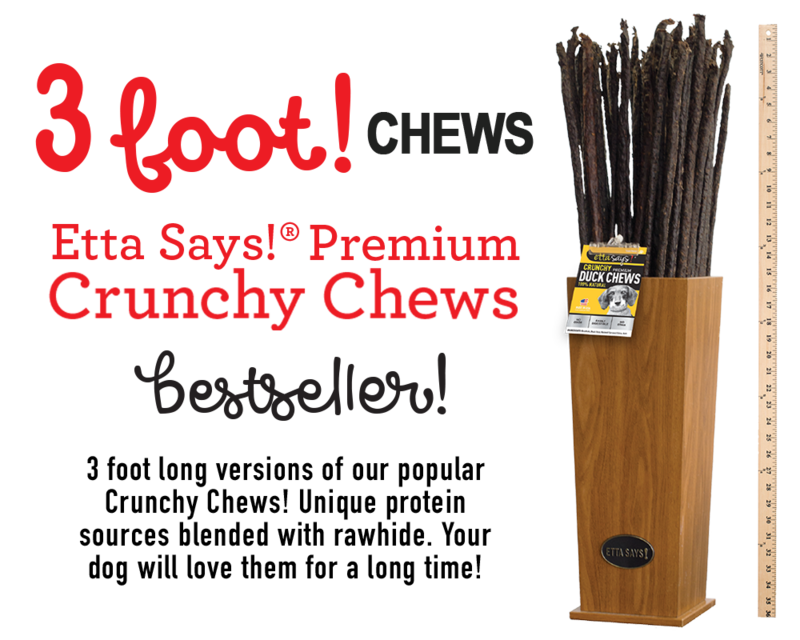 Your dog will love them for a long time! 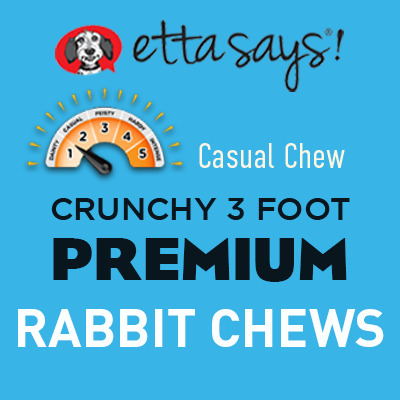 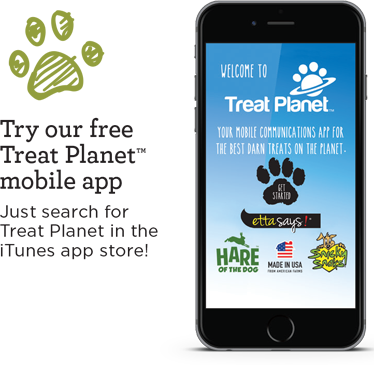 3 Foot Crunchy treats available in three delicious flavors! 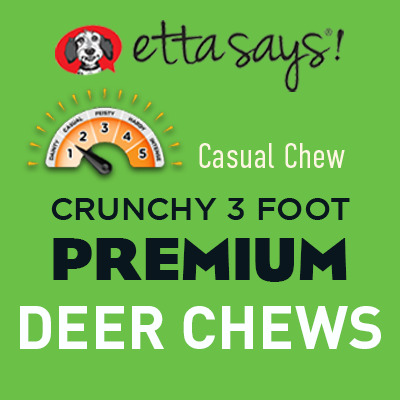 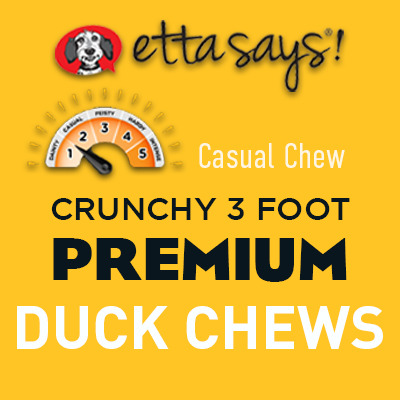 Our 3 foot Crunchy Chew Flavors!